For a business, concrete structures that are failing or in poor repair can be a serious issue. Customers could trip and fall or pieces of concrete could dislodge and injure property. It’s smart to keep up on concrete maintenance on a property to avoid lawsuits from employees and customers alike. Moreover, structures such as balconies, parking garages, columns, beams and others should look good to uphold the image of a company. Proper concrete maintenance and coating will have many benefits for your business. With a plan in place, you won’t be surprised by unexpected bills. Minor repairs are always less expensive than major ones. One affordable way to keep your concrete looking nice is with coating. Concrete sealing is effective on a wide range of structures, including stadiums, chimneys, parking garages, road surfaces, ramps and rails and others. Best of all, combined with cleaning, stain removal and polishing, the process restores old concrete to excellent condition again. It also increases longevity of the concrete. Maintaining the structural integrity of your concrete structures is an effective way to keep your property looking nice. Concrete that appears dingy or has cracks and crumbling edges might leave a bad impression. In some cases, it could even cause a client to go elsewhere. Professional coating prevents the degradation of your business properties. 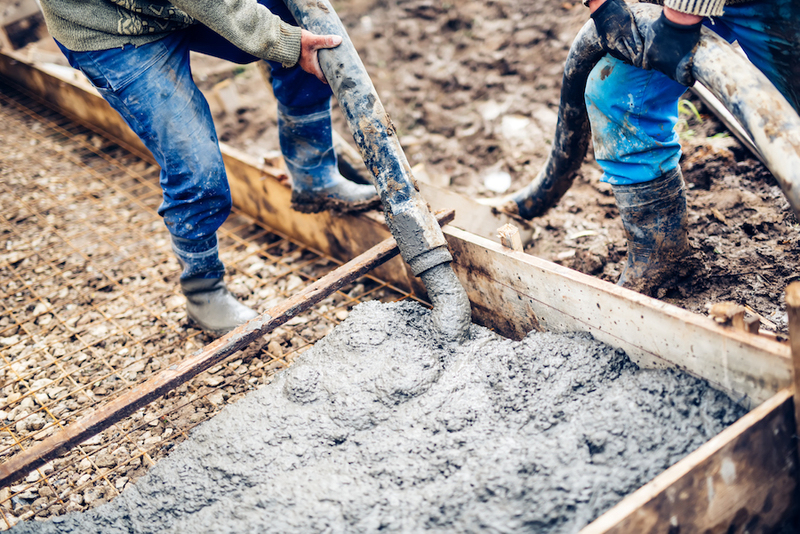 When you need concrete work done, partner with the best. NVM Paving & Concrete has served the East Coast for 25 years and can be reached at 301-355-2079. For a free estimate, fill out an online form today or send an email to NVM Paving .